Kelly A. Caralis is an associate with the firm. Her practice is focused on corporate and partnership law, commercial transactions and commercial real estate transactions. She regularly handles mergers and acquisitions, corporate finance transactions, business disputes and succession planning for closely held companies. Ms. Caralis also has experience in representing privately held companies handling general corporate, business and technology matters, including private offerings of securities and venture capital financings. Ms. Caralis is a member of the firm's Hospitality & Retail Services Group. This Group represents distributors, manufacturers, and owners in all aspects of commercial law including mergers and acquisitions, financing, real estate purchases and leases, permitting, trademark and branding, license agreements, resale agreements, employment matters and dispute resolution. 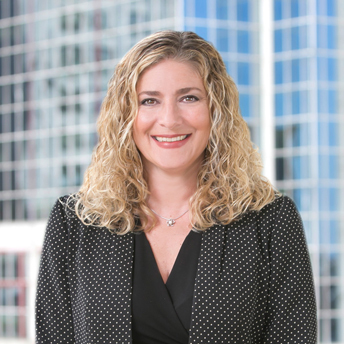 Prior to joining Ruberto, Israel & Weiner P.C., she was a corporate associate with Chu, Ring & Hazel LLP where she primarily focused on representing and counseling privately held emerging and high growth companies in all facets of their expansion and operation.